Install & Open your My Airtel App. Login/Sign up your My Airtel account. Now Find Upgrade KYC details option within App. Complete your Minimum KYC detail. After that, Goto UPI Section, Set your UPI. Initiate a First ever UPI Transfer of Rs 2000 or more. Complete the Transaction, You will get the Rs.50 Cashback in your My Airtel App wallet within 3-5 working days! The offer is not valid for Airtel Payments Saving Account customers. Offer valid from 15th Jan 2019 to 28th Feb 2019. 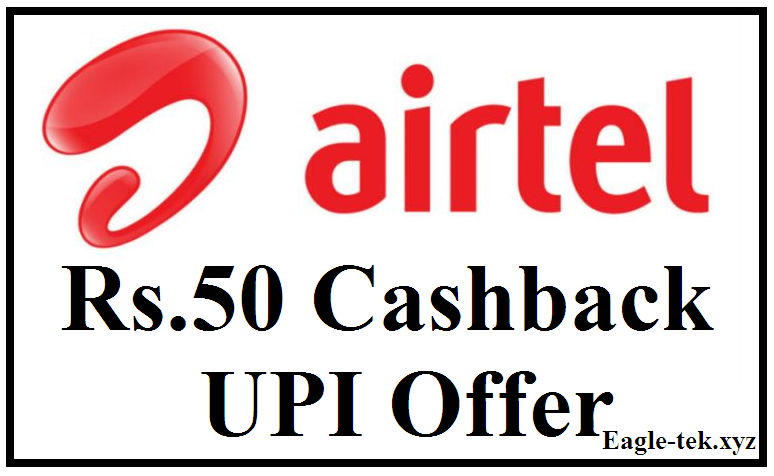 Offer is applicable for all customers who will be doing send/pay money using BHIM UPI on MyAirtel App. Cashback will be credited within 3-5 working days in Your Airtel Wallet.